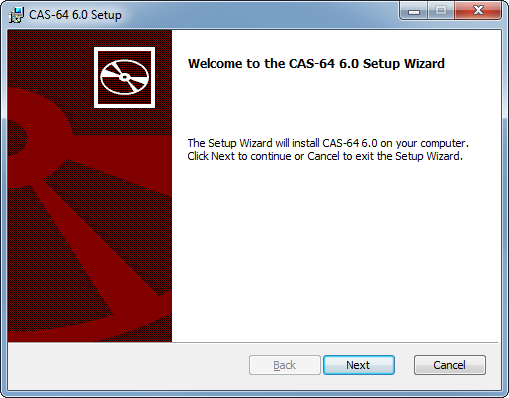 CAS 6.0 must be installed with elevated administrator rights. This is especially critical when Windows UAC is enabled. You will need to either have administrator rights or have someone with the appropriate rights run the CAS installation. Failing to do this will result in an error during installation. 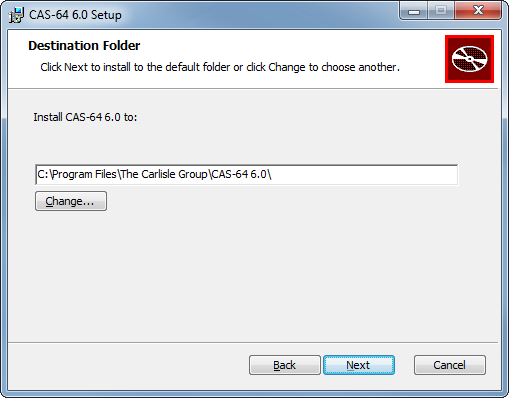 You can ensure that you’re installing CAS 6.0 with elevated rights by holding shift and right-clicking on the installation file. On the popup menu, click the “Run as administrator” option. Please follow the instructions below and click Next each time your are ready to proceed with the next step. 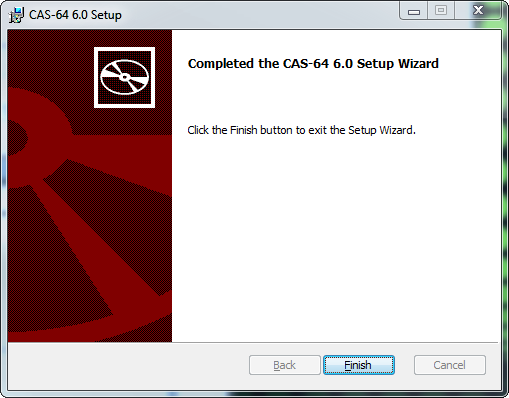 Obtain the latest CAS 6.0 installation package. These can be downloaded from our website. (Download page). Only registered users are allowed to download. If you're not yet registered, please do so here. 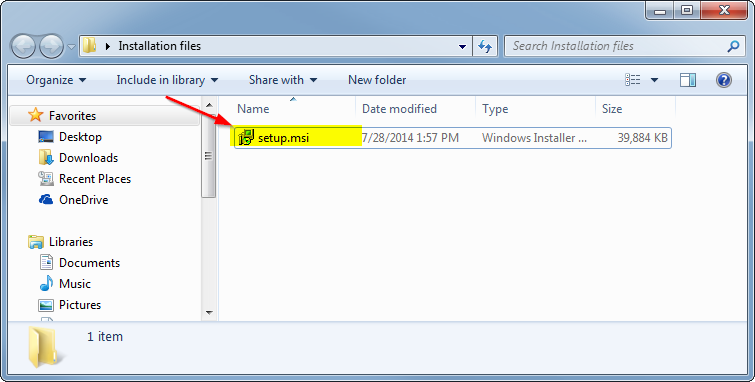 Start the installation by double-clicking on the setup.msi file. The installer will start presenting the welcome page. Here you need to specify the application installation folder. We recommend you leave the default settings. Click "Install" when ready to proceed. At this point the installation will take place. Depending on your UAC level, a popup asking to confirm the package may be presented. Click "Yes" to continue. 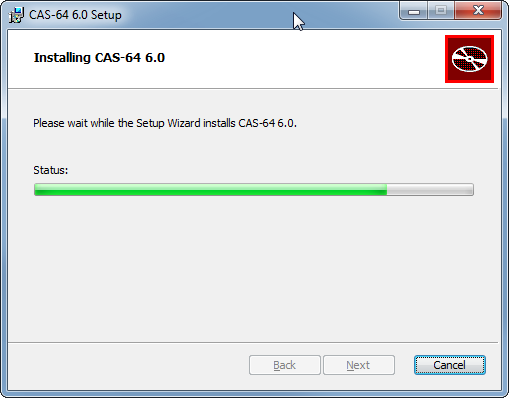 However, if you do NOT have enough permission to install CAS, a windows asking for user credentials with administrator rights will be presented. 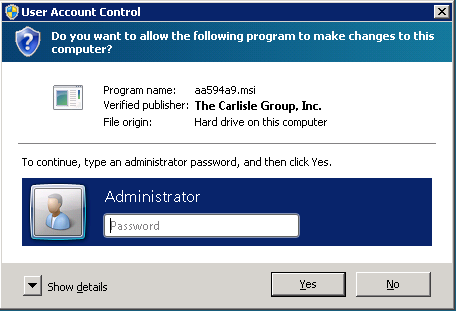 Please have an administrator fill these credentials or have them elevate your user account for the installation. During the installation You will see a status bar. Click "Finish" once the installation is complete. 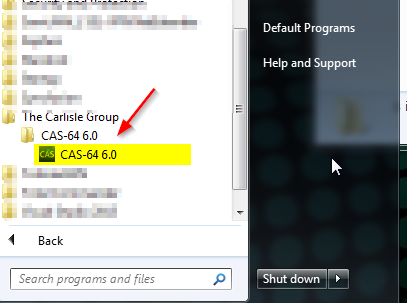 Go the the Start Menu, click All Programs-The Carlisle Group-CAS 6.0 - CAS 6.0 icon. Via Icon - Click the Windows tile button or the Windows button on your keyoard. 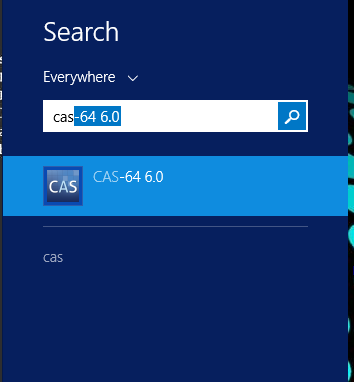 Find the CAS 6 tile.